Level was asked to design and develop an appropriate platform that would invite further collaboration and participation with the Newark and university communities, and that could represent the organizations’ powerful mission. For the last year we have been working closely with Express Newark leadership, program directors, and community partners to create expressnewark.org. Level lives and breathes collaboration and they evidence this in the careful and caring way they perform their work. We asked them to design our website and came to them with a well-developed style guide and logomark, and a very complex and nuanced need to communicate with and captivate an audience that ranges from the academic to the everyday person, from the sophisticated artist to the weekend dabbler, from every age, gender, ethnicity, religion and perspective. What we have seen throughout the process has inspired, surprised and touched us! Level understood our complex program: they listened with respect, they considered our concerns and they guided our deliberations always with a laser focus on achieving the optimal result. We cannot wait to debut the site. It is visually stunning, beautifully, skillfully designed, inventive and functional. It is a unique articulation and representation of Express Newark and the ideal of a ‘third space. For the last year we have been working closely with Express Newark leadership, program directors, to create expressnewark.org. 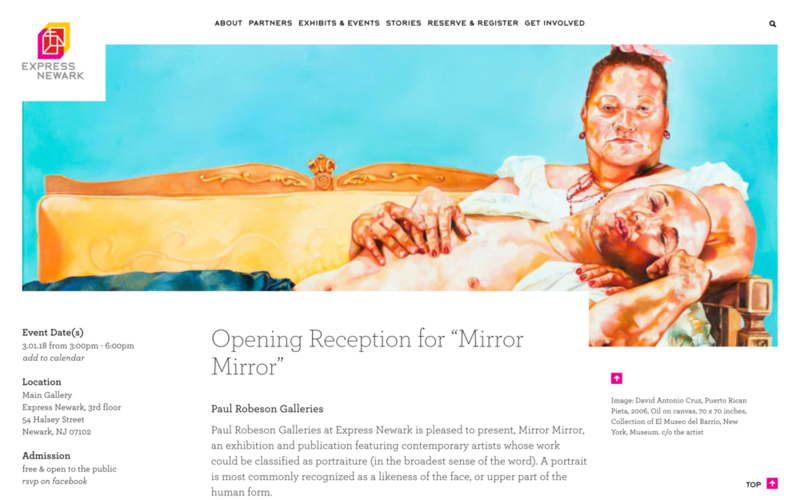 The website design and user experience mirrors the ecosystem of Express Newark: one of inclusiveness, democratic dialogue, boundary-crossing networks, and one in which eleven partnerships and over eighty contributors spanning diverse disciplines, collaborate and engage in public work and creative practice. 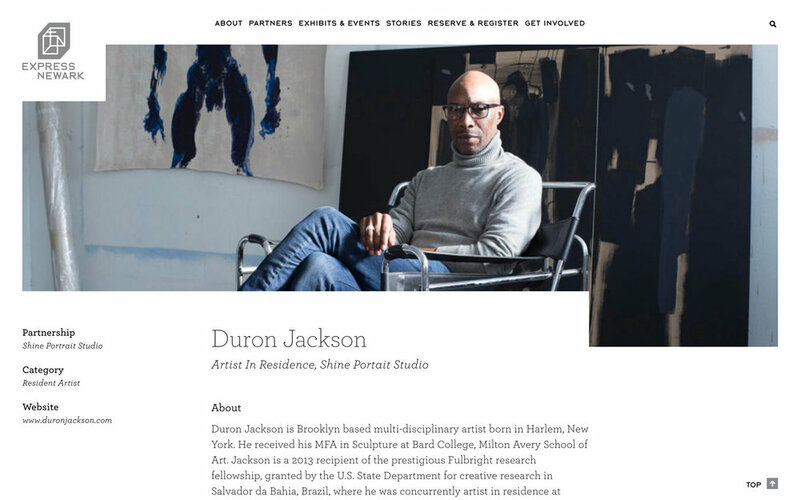 The Express Newark website is the collective work of its many community and university partnerships and collaborations. Each partnership has its own page where it can express itself through digital media, advertise exhibits and events, and publish posts containing stories, videos, news, press, and opportunities. Posts appear on their partnership page, but also throughout the site on landing pages devoted to each category of post, and on the Members of the EN community are featured in a contributor section on the website, have their own profile page, and feed into their respective partnership page in a contributor section. The brand concept of expressing the idea of a "third space" through the overlapping of two colors to create a third new color is extended through the color-coding of is extended through the color-coding of the different types of posts on the website: magenta+cyan=violet for exhibits, yellow+magenta=red for events, cyan+yellow=green for stories, and grey for contributors and partnerships. Express Newark partnerships can add an exhibit post that will publish to the exhibit archive page (an aggregate for all partners’ exhibits), the home page, and also to their own partner page. Exhibit posts present general exhibit information (the who, what, where, when), as well as imagery and other media or content including galleries, block quotes, downloadable press kits, and so on. Similar to an exhibit, partnerships can add an event post that will publish to the event archive page (an aggregate for all partners’ events), the home page, and also to the respective partnership page. Event posts present general event information (the who, what, where, when), as well as imagery and other media or content such as rsvp and where to purchase tickets when appropriate. Additionally, partners may add story posts that publish to a number of places on the site, including the stories and video stories archive pages, the related partnership page, and the home page. Specific types of stories publish to additional pages on the site — press stories publish to the Press & Media Kit page, and Opportunities publish to an Opportunities page. 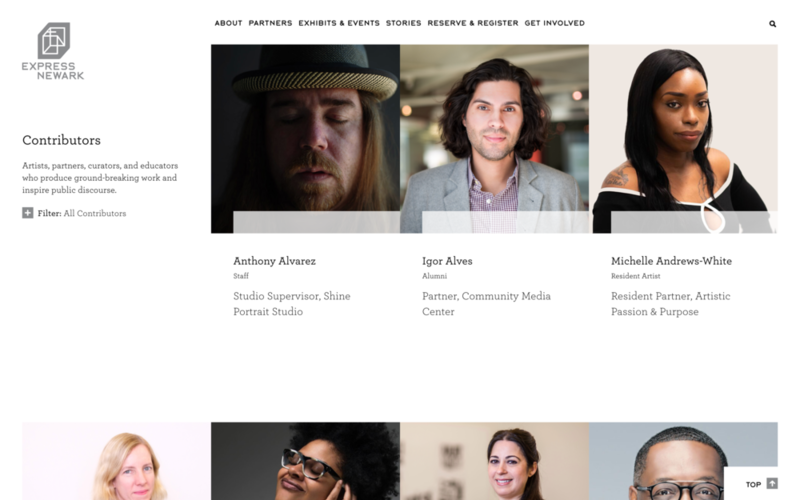 Each of the Express Newark partnerships has its own page on the website that introduces who they are, what they do, and aggregates exhibit, event, and story posts created by the contributors who are part of that partnership. If the partnership also has its own external website, that link is also included to enable users to learn more. Contributors for each partnership “feed” into respective partnership pages in a contributor section, while also feeding into a contributor archive page which aggregates all Express Newark contributors including alumni, resident and non-resident partnership contributors, and the Express Newark leadership and staff. 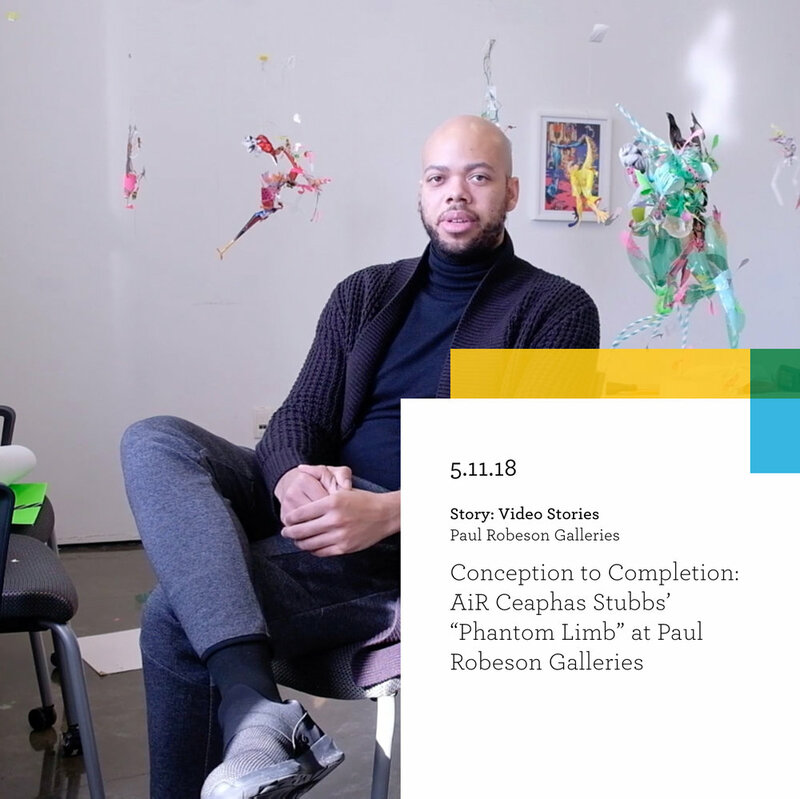 Each contributor has their own page as well, which includes their name, title(s), a bio, and website — with the option to add additional media such as an gallery and video gallery, downloadable documents, and personal quote.